Essential reading for everyone concerned with the practice of secondary science education. 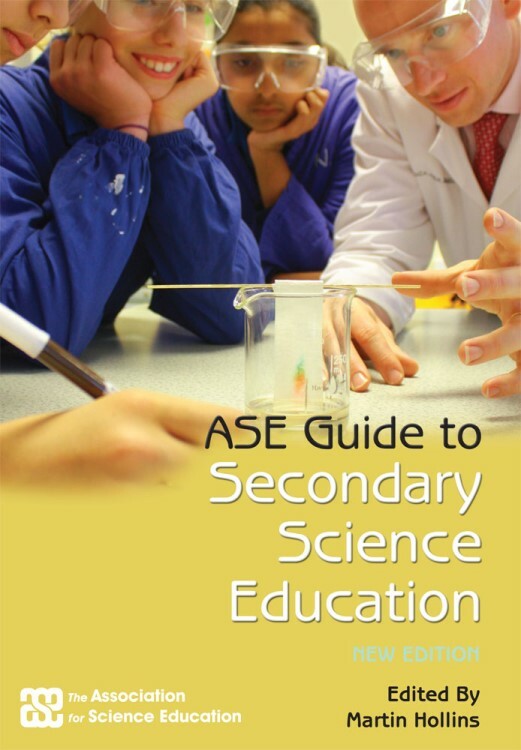 This completely new edition of the highly regarded ASE Guide to Secondary Science Education covers, in its 26 concise chapters, a wide range of topics about learning and teaching science in the secondary school. This book is edited by Martin Hollins, and has contributions from a wide range of science educators. The contexts for science education, a series of overviews that set the scene for the more practically focused chapters of the following sections. *Learning science: The content of this section ranges from the evidence from neuroscience, to the role of teachers in developing independence in learners. * Teaching science, has the learner in mind, but the focus is on the teacher. Each chapter takes particular aspects of science that are important to teach – for example, promoting a culture of creativity, ensuring scientific activities are authentic to students, how values have a place in science, and making use of the media attention paid to science. * Assessment and attainment, includes a review of the considerable extent of research and practice in incorporating assessment for learning into the classroom; how attainment is measured and reported; how examination systems work; and a comparative look at the performance of England’s pupils in recent international studies. * Management and development, looks beyond classroom, to consider all the other aspects of working in science education beginning with an of the role of the subject leader. Further chapters cover Health and safety concerns in science; the role of technicians and Higher Level Teaching Assistants; the provision and organisation of resources and the final chapter aims to ‘accompany teachers on that professional development journey’ by providing information and support ideas.